Every business is operated by the lead generation. This lead is primarily gained from digital marketing. As social media evolved into the primary digital marketing platforms of the present day, the need for the online marketers with expert distinct strategies has increased to foresee effective business results. Content marketing is the high-end grade in social media marketing and plays a prominent role in online promotions with about 28 % of an organization’s marketing budget being spent on it. This shows how important content marketing strategy plays a role in enterprise publicity. The powerful content marketing made it easier to execute strategies and convert leads into happy customers. Marketing begins with research on the type of audience the business is targeted. Many of the successful content marketers take this phase very seriously. They start with a light research on the basic customer persona and make a note on everything about their demographics. Most importantly, they arrive at an assumption to get closer to the truth about the audience. If blog posts are too generalized, lest people show interest. It is necessary to keep content fresh and always include topics related to the latest industry trends and global events. Posts related to people’s interest has the higher chance of getting hits and shares. While a writer comes across a new eye-catchy idea or object, that’s the moment he uses his full potential to generate, repeat, and connect with customers to attract attention, loyalty, and trust. Successful writers create this environment through attractive storytelling, in a most primitive and powerful form. Don’t hasten when composing a blog post. Firstly, you must make sure that the content is relevant, engaging, interesting, and unique. If you are successful in the efforts of sharing valuable content across the social media, it itself can get you through the desired results than paid promotions. The important hack also one of the simplest is writing a deeper content. 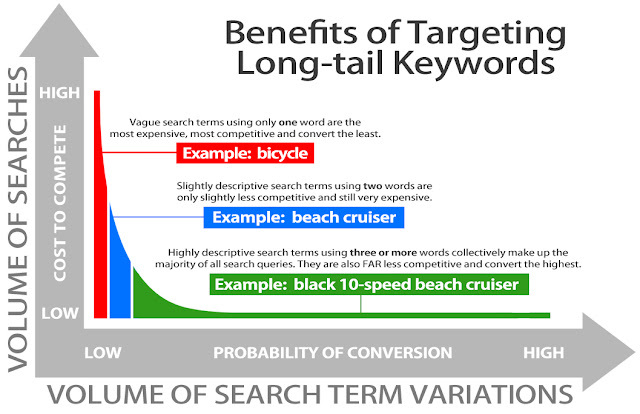 For SEO branding, content should be of the long form. 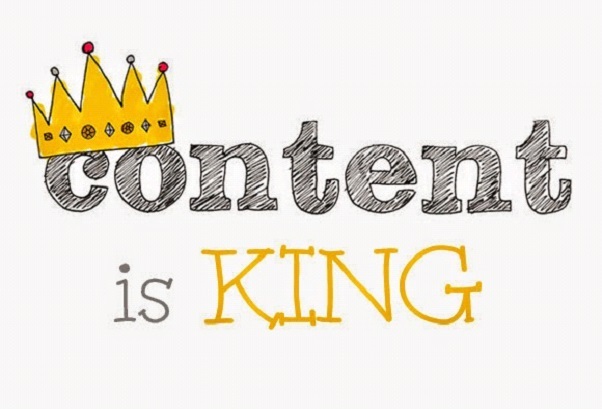 Great content engages both customers and search engines. Longer and deeper content provides more value to the audience and is completely adored by Google. The length of the content plays a major role in attracting viewers. An average length of interesting articles is estimated to be over 2,400 words. However, this doesn't mean creation of a redundant copy of articles. Each word must ensure a value to fulfill visitors’ intention. Focus on the title and first few lines. The first 10 words must be catchy and informative. These words drive attention when filled with quirky verbs, interesting examples, and uncanny twists. All these things make sure the audience don’t get run over! Once you grab the readers’ attention, it is time to engage them with simple, interesting stories. If it is achieved, you are sure to build momentum on social media. In stimulating audience visually, authentic stories hold a value. Each sentence plays a role. When the content carries an implicit story structure, the readers experience it through their own memories. The more specific the text, the more powerful the story will resonate with the audience. An easy way to grow following and lead generation is by adding tweetable quotes within the body of an article. This simple hack requires just an easy downloadable WordPress plugin or any relevant service or application. This process results in a massive growth of leads through social media. Putting relevant images in the posts brings an attractive appeal to the written text. It transforms the outlook of the blog completely. Simply putting images won’t work. The images must attract viewers when shared with other major sites. Adding the name of your site within the image adds a great value for your business. Many applications and tools are available to insert text within the images. Images incorporating texts also work great on certain social platforms like Pinterest. This image naming convention makes a stamp of your brand in a reader’s mind. If you are the one who runs a social media page for building the business network, then it is an ideal option to share your valuable content that attracts users. This way your posts are fed in the news feed and are more likely be read and shared. So, you must go with the flow to enjoy more hits among your followers. Once you have articulated a killer looking content, it’s time to share this content. To make the sharing process seamless, include share buttons at the end of every post. This will simplify the process of sharing and radically generate social hype. Social media sharing buttons make sharing easier. This surely will make a big difference in long-run. Successful content marketers don’t base their success on subjective factors, rather they reckon on the numbers and analytics to see if their strategy is working or not. Instead of just sitting and believing that their readers are engaging themselves; they question them directly. They dig deep, analyze their assumption and validate their results, before making proper changes. Rather than concentrating more on eventual pieces to get created and published, successful content marketers invest their part of a time in building a professional network. Many possible approaches associate with professional content marketing. These include Learning from others, reaching out for guest blogging, widening the network of publishing medium and attaining insights on similar industries. All these make a decent impact on marketing. Successful content marketers don’t stick with a just single area of expertise, instead, they try to expand the types of content they produce, including images and videos (if any). 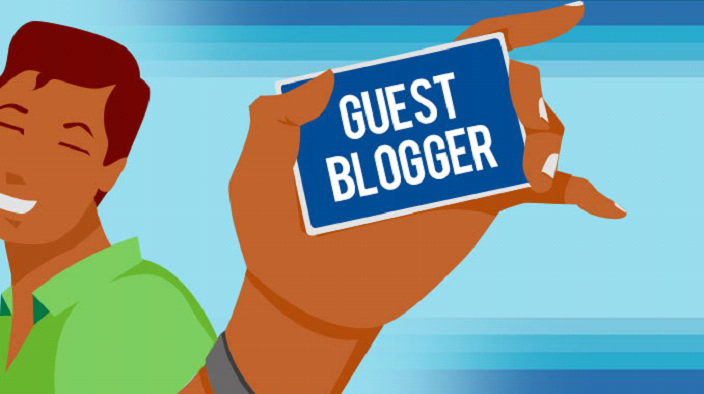 They expand recruitment of guest bloggers from third-party authorities. This process keep readers engaged, and keep a track of changing reader’s interest. When content marketers recognize a certain pattern is working, they stick with it thoroughly. However, along with maintaining ROI, successful content marketers, also experiment on a regular basis, throwing in new topics and content formats that they believe their audience would typically expect. Even though it is a bit risky, and doesn’t always bring fruitful results, yet it keeps you away from falling into a trench. Content marketing is known for its long-term nature. The content always has time to alter the existing, outdated points, add new information and audit own strategies to join the ranks of the ruling in class. To succeed in social media marketing, it is necessary to keep up a cliché-free zone. As the world spins faster, it is tougher to uphold customers’ attention. Wise content marketing draws more customers into your vision and sustains their bond with your products and services. You are positioned well to acquire better results in terms of the number of leads, shares and closed business by executing these techniques. Sirisha Paladhi possesses love and passion towards writing, which brought her into this field. Presently, she is working as a Content Writer at Mindmajix. During her career, she has written many articles on technology innovations. In her pass time, she relishes in making handy-crafts. The presence of social media in the lives of everyone around you is undeniable. If you develop a marketing strategy using social media that is successful, you will have many new clients and leads to pursue. The benefits of targeting long tail keywords and using social media are undeniable and the only way you will be able to get ahead in the world of small business. The following are a few steps to take when developing a strategy for your social media marketing. When you first start trying to develop your strategy, get online and listen to what everyone is saying about your product or product like yours. This helps you to determine who your target audience is and what they are looking for online. Many people make the mistake of just using one form of social media, which limits their exposure to potential customers. You may have started using a social media site as a user, but be sure to conduct your business persona in a much more professional way than you would your personal persona. This will allow your customers to see that you are serious about your business, which will help develop their trust in you. The best thing for you to do with your online content is to use specialized keywords that are specific to your business. 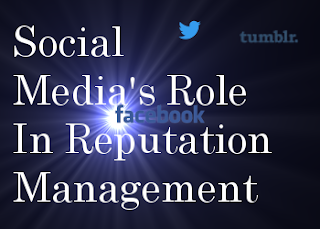 Be sure that the content that you put on your social media page is well thought out and professional sounding. The worst thing you can do is to put out unintelligible content that is impossible to follow and easily dismissed. The goal you should have is making sure that your content is informative for you customers and easy to follow for prospective customers. Early on in your development strategy, you should evaluate how you measure the success or failure of your social media campaign. If you measure your success by the number of followers that you have on a social media outlet, it should not be too hard to have a great deal of success rapidly. But for more long term goals, such as expansion of your business, the success will come at a much slower wait but will be well worth the wait. You should make sure that you always keep the content and posts on your social media up to date to avoid having a stagnant page. 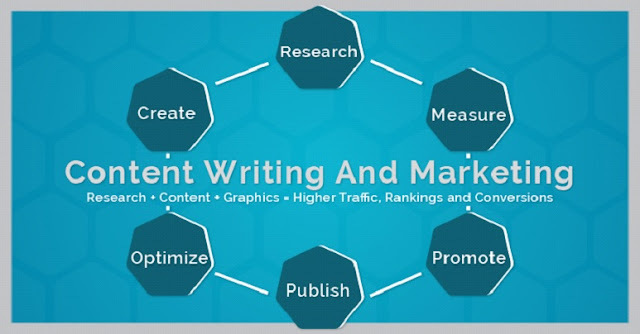 Getting help from professionals on what to do regarding your content marketing is important and will help to ensure the success of this venture. Social media platforms are a great way to reach out to a wider market and get their genuine opinions about your products and services. However, with the ever-increasing competition in the market, organic reach has been replaced with the paid reach where marketers spend money to promote their business on Social Media. Unfortunately, this is not how you succeed in your online business and drive genuine traffic to your site. Therefore, it is quite necessary that you realize the significance of organic reach and work for it. 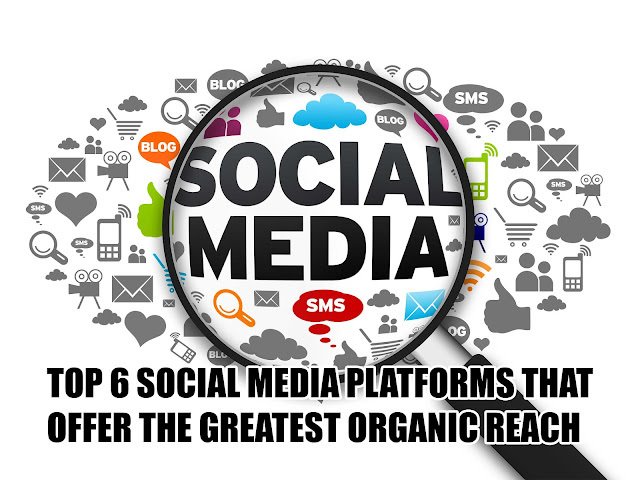 We have compiled the list of top 8 social media platforms that offer greatest organic reach. Have a look. 1. Facebook: Facebook is certainly the best platform to promote your website. But the increasing popularity of this social networking site has arisen many challenges for the webmasters. 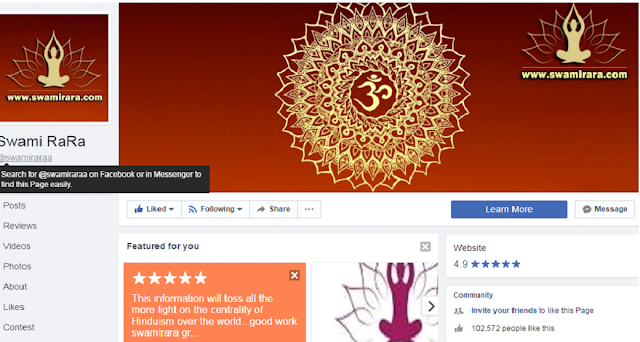 Facebook has recently proclaimed that it will minimize the overly promotional page posts. With this proclamation comes the bad news for a majority of webmasters since it was one of the best ways for pages to improve their organic reach directly. A study has shown that Facebook pages that have million likes receive only 2.27% average organic reach. As an instance, if your page has 64.5 million likes, you can only reach around 1.5 million fans. Thus you have to pay to increase your organic reach. However, there are various ways to improve your organic reach such as posting fascinating content, videos and sharing things that your audience is most interested in. 1. Post at non-peak times: Yes, you probably have heard that you should share your content at the peak times. But let’s consider it this way, if there is less things being shared on Facebook, there are more chances for you to stand out. 2. Share self-explanatory images: It has shown that self-explanatory images reach more audience than normal images. The matter of fact is that nobody likes to read long articles word by word. Web users like to scan information and nothing beats self-explanatory images. 3. Listen to your audience: It’s always a bright idea to engage your audience with questions. This way you can ensure that you are serving to the right audience with the right products. 2. 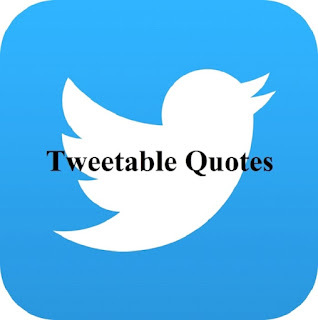 Twitter: Twitter is yet another most frequently used Social Media platform to post the recent updates. It is said, “Be brief, for you might not get a chance to complete yourself”. Perhaps, this is the reason why Twitter provides you with only 140 characters to post. However, with this limitation of words comes the difficulty of reaching the targeted audience. Also, the average interaction rate on Twitter is 0.03% only. In simpler words, for every 1 million followers the average interactions are 300, which means there are very less chances of reaching to even half of your followers. A research by more than 100 brands has found that there are certain tactics to drive the highest traffic from Twitter. Twitter is gradually converting into a visual network and adding photos and videos can greatly improve your organic reach. A recent study by Buffer has shown that an average number of tweets with photos get 35% boost in retweets while videos manage to receive 28%. Twitter is certainly all about real time events and conversations and this is why a majority of brands have seen a huge jump in their retweets and organic reach by leveraging real-time. Make sure you stay true to your brand while joining in the conversation. 3. Google+: Google+ is the product of the search engine giant Google. Therefore, it is the best social media platform present today. However, Google+ has recently removed most of its features. It only has limited features now such as communities and collections. And in order to make the most of these features, you have to be active on it. Facebook and Twitter being the most popular platforms make many webmasters overlook the power of Google. However, you probably don’t know that for every Google+ interaction, a brand attracts 0.09% of follower count which is less, but it can be increased if you share it in different communities and collections. 4. LinkedIn: A post on LinkedIn can attract 20% organic reach provided it engages users. This number can even increase up to 60% only if you post more often. To boost the organic reach on LinkedIn, you should post more professional and informative data. For an instance, you can post case studies or may be an informative article on how to set up a business. Anything and everything you post on LinkedIn would help you widen your professional network. However, you need to ensure that you post at the peak time i.e. during business hours. 5. Pinterest: You need to make sure that you have an active Pinterest account if you want to promote your brand. Studies have revealed that the organic reach on Pinterest is much more than Facebook and Twitter because your pins are visible to greater number than the number of your followers. You probably don’t know that a Facebook and Twitter posts offer 90 and 24 minutes of visibility respectively whereas Pinterest can provide 151,200 minutes according to a recent study. To improve organic you can add PIN IT button on your blog and share infographics on your Pinterest account. Really, sharing infographics on Pinterest does work. 6. 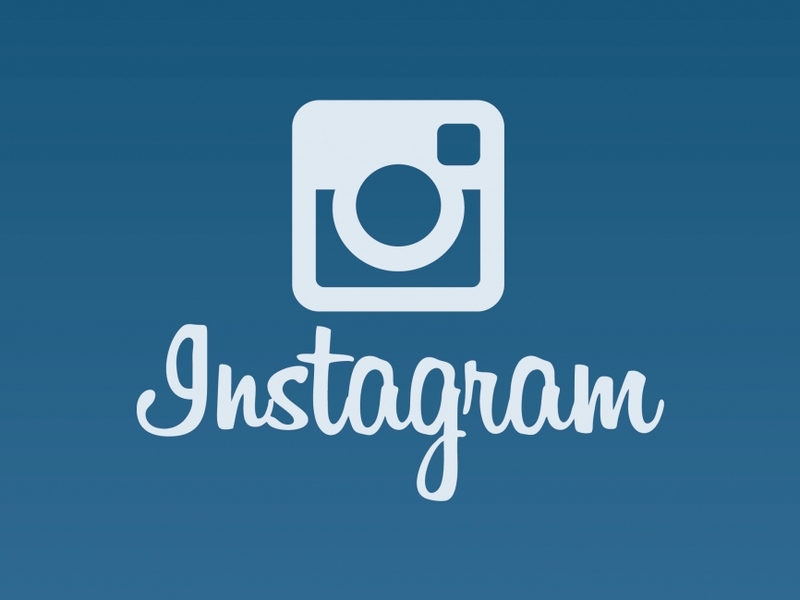 Instagram: Instagram, as you know is used to post pictures and videos. And it is actually very difficult to measure your organic reach on this platform. As a matter of fact, Instagram holds a total of 20% of the Organic Search. You can improve your organic search on Instagram by actively commenting on other followers’ posts. Using the correct #hashtag can help you big time because that is used for the searching on social media. Shoutouts are another way to reach a wider audience. However, only few brands are aware of this strategy and thus it is hardly used. In shoutouts, you can ask account holders with a large number of followers to share one of the best photos of your brands with his/her followers to improve organic reach and in return you can do the same to give back the favor. Although the organic reach has declined but it would be too soon to say that it is out. Because technology can surprise you anytime. Author Bio - Nirdosh has a knack for exploration and loves to dig into WordPress, and share her knowledge with others. She is currently working with WP Daily Themes. She is also a programmer, a writer and a motivational speaker. Some form of texting has been around for the last twenty years. However, it has become much more widespread in the past five to ten years. In fact, users sent an amazing 14 billion texts each month back in 2000; however, that number became over 10 times more by 2010 with a surprising 188 billion texts per month. Obviously, texting has caught on as one of the best ways to keep in touch with family and friends. However, there are some trade-offs to this awesome phenomenon. Sadly, people are unable to communicate true emotions via text messages. Body language and tone of voice are two major pieces of communication that cannot be conveyed via a simple SMS message. Some people are even worried that relationships can suffer when only text messaging or a majority of text messaging is used for communication. On the other hand, there are definite benefits to SMS. Many people feel more comfortable conveying awkward messages or difficult information via text messaging than in person or over the phone. With almost 70% of those studied believing that they would have a difficult time staying in contact with others without text messaging, this once-unfamiliar technology has become widespread and much beloved. This infographic was produced by Scratch Wireless. Is Social Media Killing Christmas Cards? What would Sir Henry Cole think if he could see us sending our social greetings to one another via social media? Sir Henry is the chap who sent the first Christmas card in 1843 and kicked off the tradition, selling his creations for one shilling a piece (that's 5p or 8 cents to you and me!). When the cost of sending these fabulous creations became affordable for the masses in 1870, the tradition spread and it is only in the last few years of this century that we are starting to see a decline in Christmas card sending. Why? Because of the internet - and more specifically, social media. How easy has it become to wish a happy Christmas to everyone we know - all at the same time? Even sending personalised messages has become much more simple with the advent of social media. Just a few taps of the keyboard, a click of the mouse and your greetings are with their recipient, awaiting an instant response. Perhaps this simply means that we are lazier than we were 5 years ago, or maybe there is simply an expectation that this is how things are done these days. Either way, there is no disputing the evidence. In the study depicted in this infographic, LoveMyVouchers have found that their newsletter subscribers are definitely sending less Christmas cards, and friends are the most likely group of people to receive social media messages as opposed to traditional cards. This infographic shows the results of a survey conducted by www.LoveMyVouchers.co.uk in which participants were asked about their Christmas card sending habits. Question: How many ways are there to consume music today? Answer: More than you can guess. The way we consume content, including music, has undergone a few changes in the past decade or so. As recently as the years between 2000 and 2005, we connected to the Internet at a speed of about 56 kbps. Today, Internet connection speeds average about 2.6 mbps. What seemed like the greatest thing since sliced bread in 2000 would seem so frustratingly slow that today’s users would be utterly appalled by the length of time it took to load a single web page. Thanks to the speed at which we can connect to the world at large, we’re consuming a great deal of content in new ways. Desktop PCs, while still used in business and office settings, as well as many homes, are often a last resort to mobile users. We prefer to connect on the go, without being chained to a desk, using devices such as smartphones and tablets. We’re consuming the majority of our content today digitally. Whether it’s music, video, news or even books—we turn to the World Wide Web first. Take a look at the infographic below for more details on how content consumption has evolved over the past 10 to 15 years. TorchBrowser is a free and unique software that offers you powerful browsing together with built-in media downloading and sharing features. Most of us carry our smartphones with us every day, so it makes sense to use them for more than just making calls. Here's a quick look at six of the best productivity aids for busy office workers. EverNote is a free to use productivity suite which includes mobile apps, a browser plugin and a web app. Use EverNote to store notes about almost everything in the cloud, and access those notes from any device with an Internet connection. Manage multiple social media accounts in one handy interface with HootSuite. Share access to your accounts with the premium package, which starts at £7.19 per month. Remember The milk is a free mobile app that makes managing to do lists easy. Upgrade to the Pro version for $25/year to enjoy the ability to get push notifications about urgent tasks, sync your apps anywhere, and use widgets and badges to be reminded about upcoming To Do items. Basecamp is the ultimate project management tool for large and small companies. You can try Basecamp for free for up to 60 days, and full accounts start at just $20/month. For that fee, you can run up to ten projects at a time, and take advantage of 3GB of cloud storage for those projects. It hasn’t escaped the attention of the savvy business that online reputation management is becoming more and more important pretty much by the day. With almost everyone now turning to the Internet before making any real spending decisions, it’s hardly surprising that what’s said about you and your brand online counts for more now than largely any other form of feedback. There were once only select service industries that were dependent on positive online feedback – the same now extends to every business and service across the board. But here’s the real kicker – a full 23% of people admit that they will take to the web to say bad things about a brand if need be, but less than 10% will sing the brand’s praises when absolutely delighted with their services or products. As such, the vast majority of online feedback has the potential to be negative and paint a picture of a brand that’s neither balanced nor fair – especially where everyday social network gossip is concerned. If and when it gets to the point that entering your brand name or other keywords returns a list of results where several are negative, you’re in trouble. The last thing you want is for the first thing people to see about your brand to be negative comments and reviews in Google. In order to prevent or treat this, optimize your social media pages and create more pages to optimize, in order to get these higher in the rankings and push the negative feedback further down while you go about addressing it. Don’t fall into the trap of thinking the world of social media begins and ends with Facebook. Not only is this not the case, but Facebook might not be the best platform for you to choose – not even close. Take into account the various platforms out there in accordance with the target market you’re trying to reach, in order to tailor your decision accordingly. The power of Pinterest and LinkedIn for example cannot be overstated for a great many business areas. When You Find Praise, Run With It! Without getting carried away and coming across as desperate, it’s never a bad idea to spread the good word about you and your brand every time something positive is said about you. If you happen to find some really glowing feedback in a dark corner somewhere that most folk won’t come across, bring it to light on either your primary page or via social media. Likewise, be sure to draw further attention to any glowing praise you receive by responding to it or leaving your own comment thanking the reviewer. In addition, don’t ever be worried to reach out to your target market and actually ask them to leave you a positive review. Assuming of course you haven’t let yourself down and did a great job living up to expectations, some will be more than happy to do so. It might not appear so on the surface, but negative criticism can actually be better for your business over the long-term. Not only does it show you where you need to improve, but you can turn any negative into a positive by following it up and responding to it in order to win over the part responsible party and anyone else coming across it. And finally, the most important thing of all to take away from social media in terms of reputation management is constructive feedback as to where you’re going wrong and what is going down well with the punters. Don’t weigh up what you read against your own biased views of the business, take them as the most valuable insights you will ever have as to how you can better your operations. Rocky John Tayaban, for the past 8 years, has been helping small and large companies all over the world in their online marketing. At the moment, Rocky is the managing director of iSolutions Media - a search engine marketing firm in the Philippines. Follow him on Twitter @SmartOnlinePros to stay updated on all the latest in social and search.